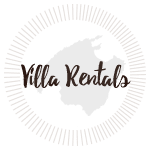 The island of Mallorca does host some of the most beautiful golf courses in Europe, and it is true that there are many wonderful golf resorts in the vicinity of Villa Golf, however, the name does not do it sufficient justice. When searching for a holiday destination that suits diverse interests and traveling preferences of a family, it can be difficult to find a place that offers a balance. Where can you find beaches, sports and quiet repose? 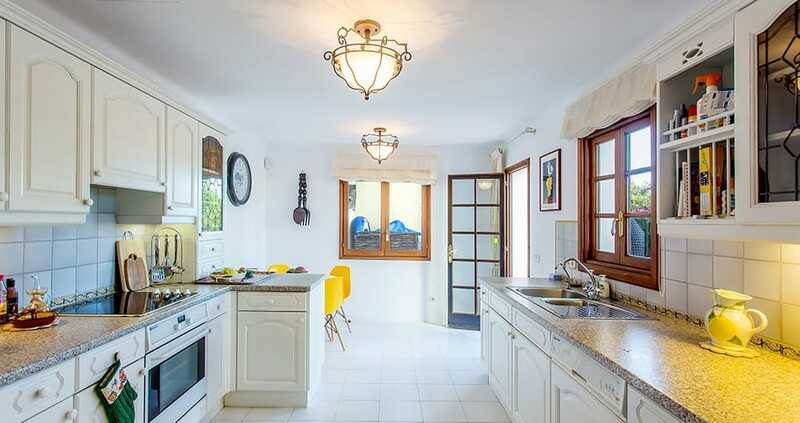 Villa Golf in Santa Ponça offers it all. In the southwest of Mallorca are the island’s most beautiful pristine white swaths of beach and Santa Ponça is one of the oldest beach resorts on the island. 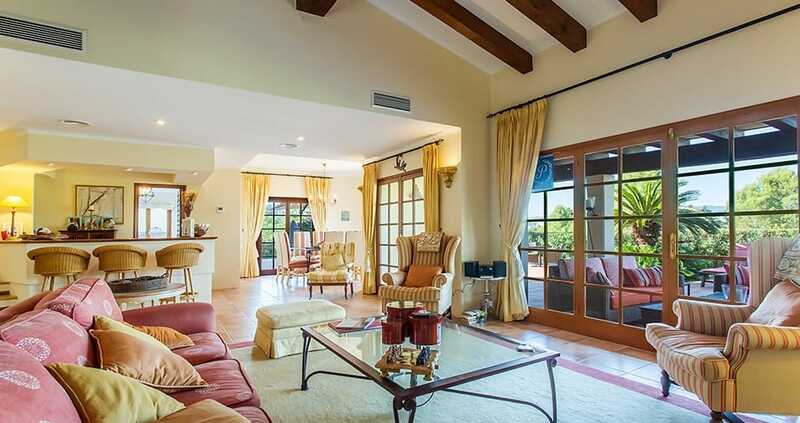 Villa Golf is tucked into a quiet enclave surrounded by pines and stretching as far as you can see, nothing but wide open skies, and the mountains rising in the distance. The property is aptly named for its proximity to 3 golf clubs, and there is a a 5 star tennis club, water parks and family entertainment abounds. 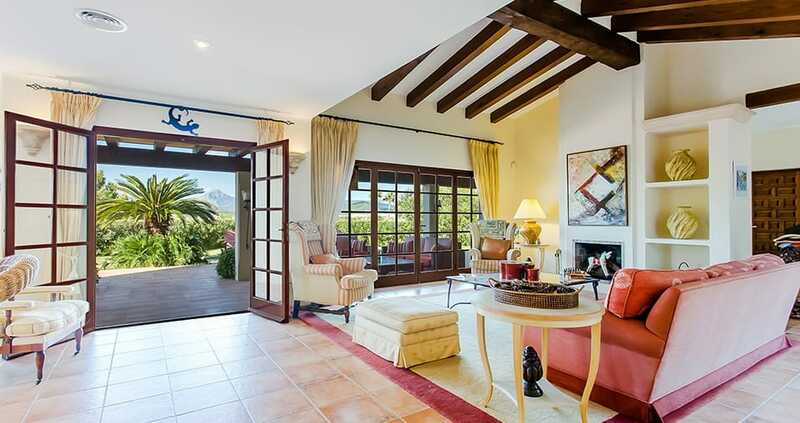 However, this classic Mallorcan manor house is outfitted with everything you need for a family vacation – once the gates close, you may just want to stay there. Follow a winding drive through a private gate, and you arrive to Villa Golf. The house is a renovated Mallorcan finca, but the decor is decisively grand old world European with marble statues, tasteful brocades in Mediterranean hues, and eclectic antiques. At once homely and airy with open plan common areas and five spacious bedrooms dressed in crisp linens. You will not tire of looking out over the pines surrounding the property. French doors flung wide in the summer offer indoor/outdoor living from the lounge to the patio. The patio has a outdoor covered living room close to the large pool with chaises longues and parasols. 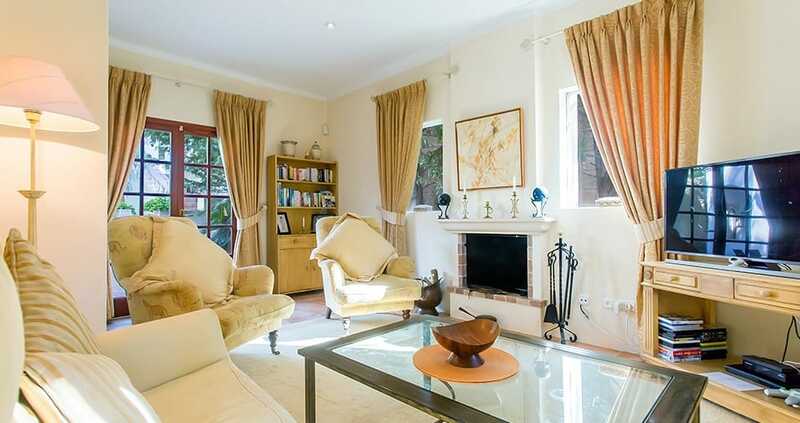 The property is perfect for a family looking for a quiet place to retreat. And, of course, this is heaven on earth for golf lovers! The house is air conditioned and has wifi throughout. 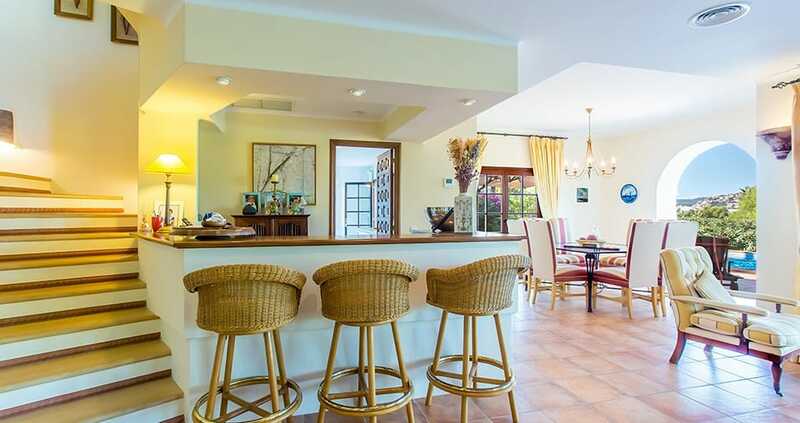 The villa sleeps 10 easily, with four elegant bedrooms in the main house and an adorable separate casita with a private suite. On the ground floor is a master bedroom that has an enviable ensuite bathroom and dressing area, Above, on the first floor there are three bedrooms which can accommodate six persons, one with a double bed, the additional two bedrooms each with two singles respectively. On the ground floor is the master bedroom suite made up with elegant textiles and an antique escritora that looks out over the green lawns and onto the terrace. A spacious private bathroom is just off the bedroom. The lounge and dining area are airy and open plan, with books on the shelves and artifact form the island and abroad. There is a separate lounge with a flatscreen TV, perfect for cozy afternoons spent watching movies for kids or escaping the heat for a quiet day of summer reading. From the lounge, take the staircase up to the three additional bedrooms each with an ensuite bathroom. Wrought iron beds made up with light crisp linens. 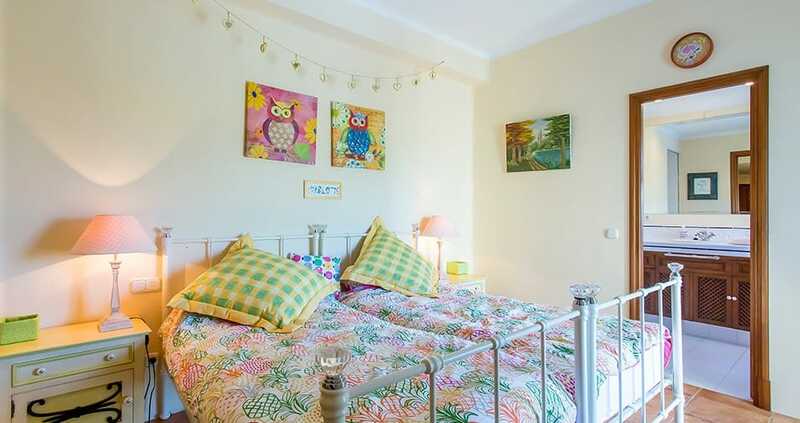 Two of the rooms have two single beds in each room, and the third has a double bed. There is a separate casita that offers a private suite with a lovely bedroom and bathroom. The casita is air conditioned. There is a covered outdoor lounge just out the French doors of the living room, and a dining area with a gas BBQ for dinners al fresco with the family. Try your hand at grilled local seafood and produce, or a paella if you are feeling ambitious. By the large pool are umbrella and chaises for sunbathing pool-side or getting lost in your summer reading. There is a ping pong table. The outdoor lounge has ample seating for an afternoon reading in the shade, and the chaises longues poolside offer sun bathing and lounging. The dining area is covered. 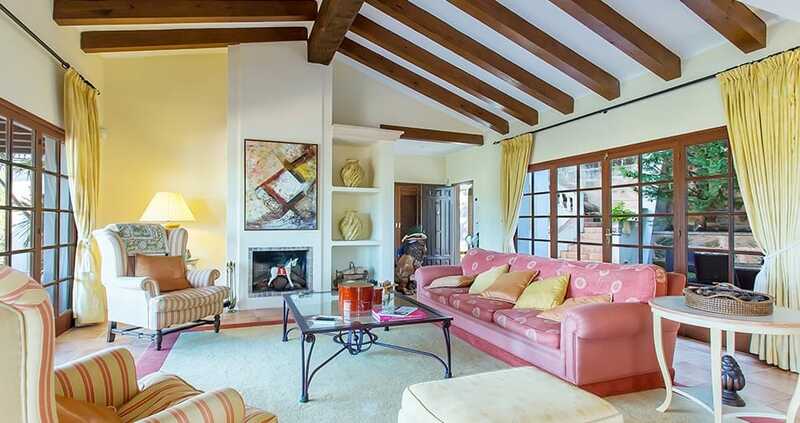 Villa Golf sleeps 10 comfortably. Maid Service is included. The airport is 32 km away and the nearest beach is 2 km. 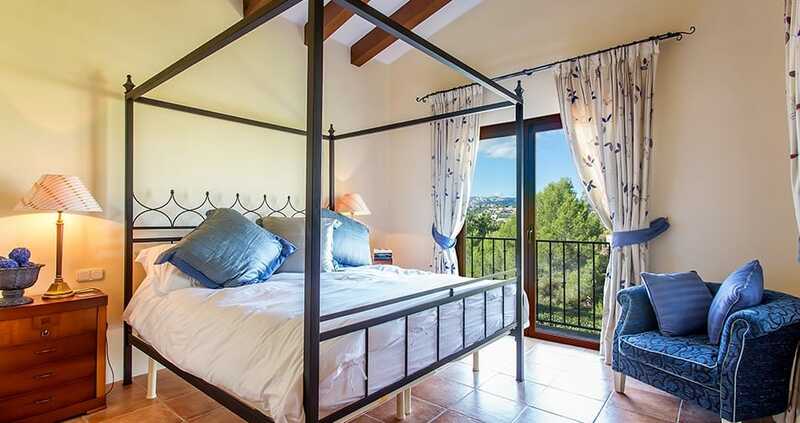 To book your vacation at Villa Golf in Santa Ponsa call +34 971 708 888.